Recent upgrades to the 2015 Honda Civic seem to focus on the Honda Civic interior of both the sedan and coupe models, and have enhanced the interior style with finer materials, a longer list of convenient amenities, and a quieter cabin. Available now at Fisher Honda in Boulder, don’t miss out on this exquisitely designed vehicle. The Honda Civic is a car that adapts with each new model year, and this year’s design has particularly evolved to encompass a more comfortable and attractive interior. The 2015 Honda Civic features more sophisticated seating surfaces with intimately homespun faux-stitching, and – on upper-level models – a leather trim. In addition to the newly organic tone of the Civic’s seats, a two-level dashboard is now covered in a soft-touch padded material that flows up the sweeping symmetrical lines of the doors’ trims. In one word: lush. 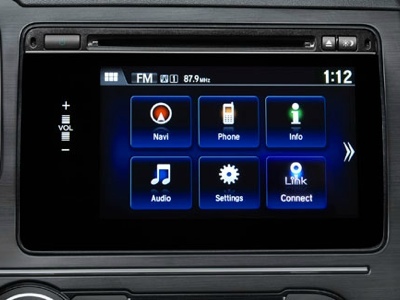 The 2015 Honda Civic covers all of your technology needs with its 7-inch touch-screen available in the SE, EX, and EX-L models. This allows you to navigate infotainment, entertainment, and maps with the tips of your fingers. Above your touchscreen is a standard 5-inch intelligent multi-information display, which will communicate everything you access from your touchscreen controls below. From your display, you’ll even be able to watch yourself back out of parking spots and into busy lots viewed from your standard rear vision camera. How’s that for versatile? But better still, with steering-wheel mounted controls on all models, you can access standard Bluetooth to make/receive calls and have texts read aloud without ever taking your hands off the wheel. The 2015 Honda Civic is remarkably quiet. Ironically, its more delicate, sensuous cabin sits in a thicker steel frame and beefier side panels, which work to enhance both the Civic’s security and to its ambiance. In order to control cabin noise, Honda’s also implemented thicker glass in the windshield and side windows, as well as a layer of extra soundproofing materials on the dash, doors, rear tray, and floorboards. Even the soft-touch interior surfaces help to hush the roar of the highway. Stop by our showroom at Fisher Honda for a test drive, so you can experience the 2015 Honda Civic interior for yourself! We’re located at 6025 Arapahoe Road in Boulder, and open Monday through Thursday from 8:30 a.m. to 8 p.m., and Friday through Saturday from 8:30 a.m. to 7 p.m. We look forward to showing you just what the Civic can do!